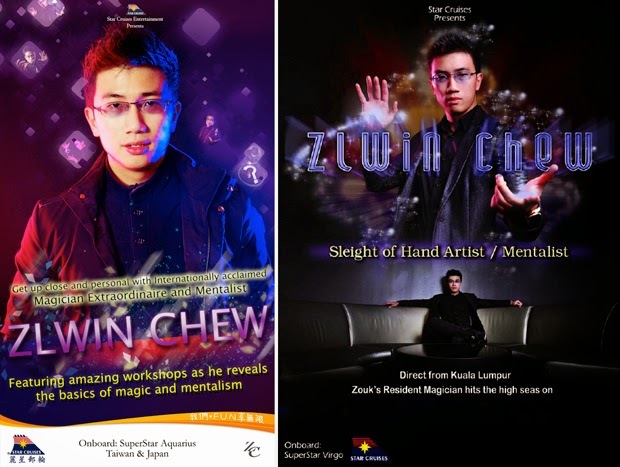 Zlwin Chew: Magician. Mentalist. Illusionist. What is Magic? Is magic an illusion? A mere trick of the mind? Or just a sleight of hand? To return to innocence, when the world was magical, when logic gave way to wonder - this is Magic. There are no tricks in magic, only wonder. is a magician, a mentalist and an illusionist. As a magician, he conjures something from nothing. As a mentalist, he explores the complexity of the human mind. As an illusionist, he performs miracles and wonders. This would be the firewood that fuels Zlwin’s passion and love for this beautiful Art. 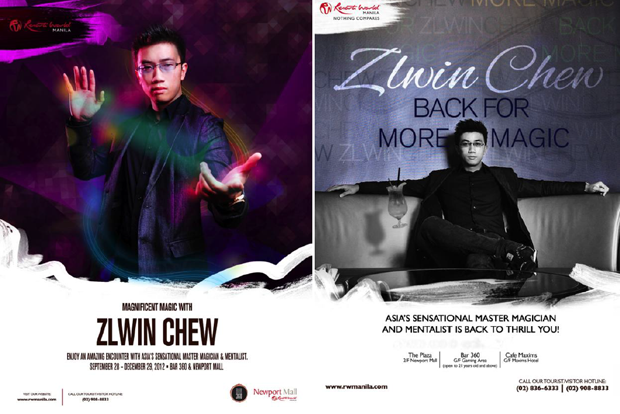 Click HERE to view and download Zlwin Chew's full profile (PDF). - The 12th King of Malaysia, Sultan of Perlis, Raja Syed Sirajuddin ibni Syed Putra Jamalullail. - Former Prime Minister of Malaysia, Tun. 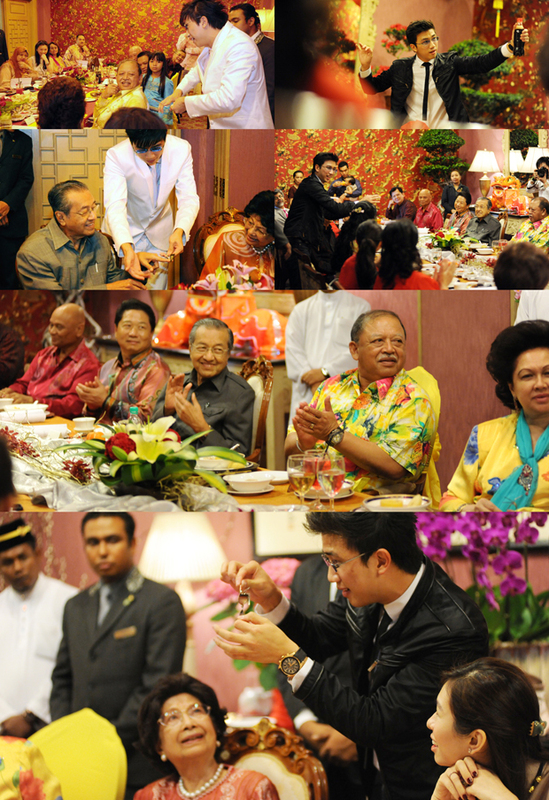 Dr. Mahathir bin Mohamad. - The Raja Permaisuri, Queen of Malaysia. Performance for the Royalties of Malaysia at the Palace of the Golden Horses. 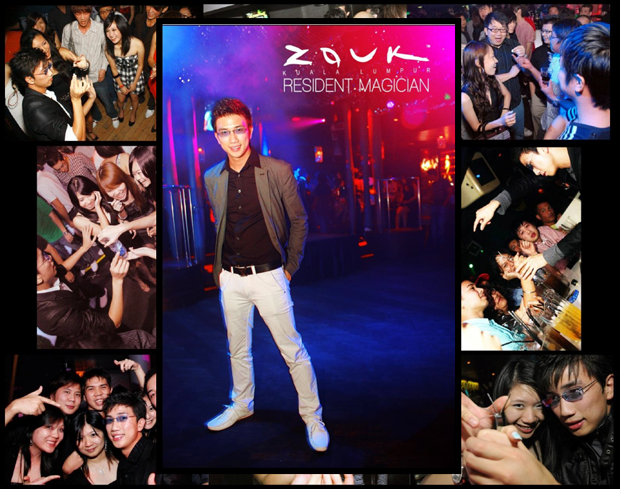 For 4 years, Zlwin was the Resident Magician at Malaysia's number one club - Zouk Club KL. 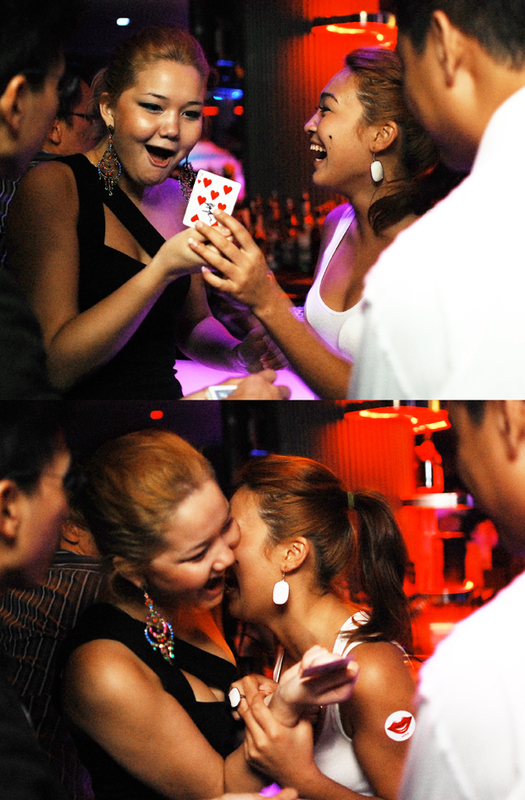 Zouk is also one of the World's Top 50 Clubs voted in the international clubbing magazine, DJ Mag. 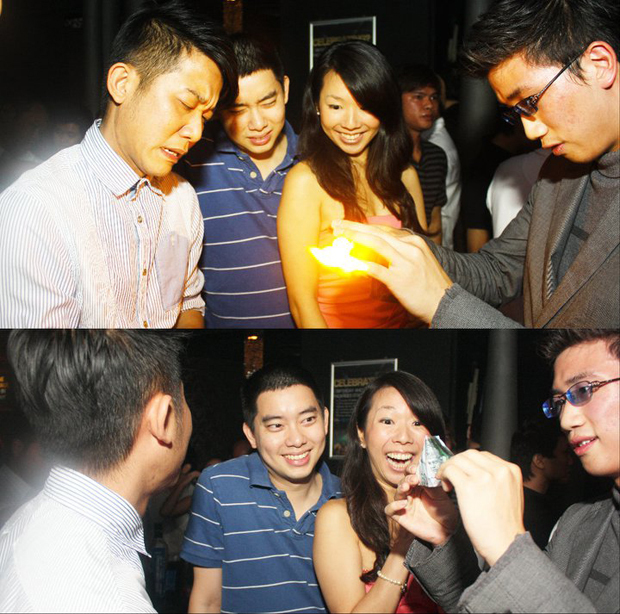 He performs his shows on a weekly basis, walking around the club surprising guests with skillful close up magic. Asia Pacific's Leading Cruise Line, Star Cruises contracted Zlwin to perform on board their largest ship, the Superstar Virgo. 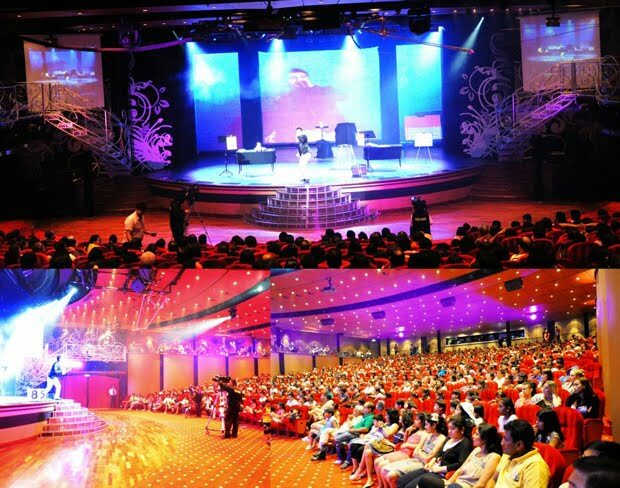 This made him the first Malaysian Magician to ever work with Star Cruises. He went on to be the headliner for two other Star Cruises' ships, Superstar Gemini and Superstar Aquarius. 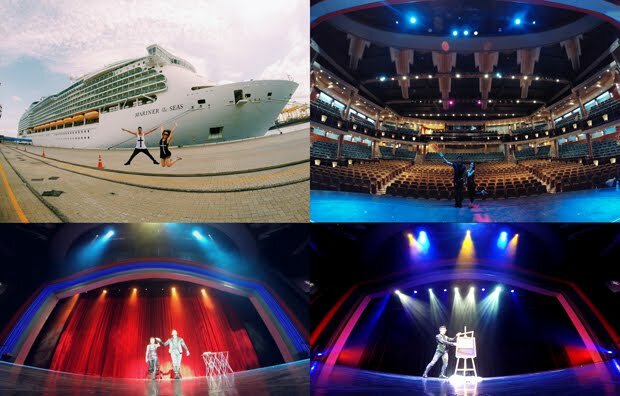 Shows on board the Superstar Virgo cruise ship. India's TECHFEST. Techfest: Asia's Largest Science and Technology Festival is held annually at Mumbai and draws forward more than 70, 000 people each year. Zlwin was the guest magician and host/emcee for Techfest 2011, 2013, 2014 and 2015. Zlwin has also worked with the Marina Bay Sands Hotel, Singapore in 2010, adding a magical element to the spectacular hotel. 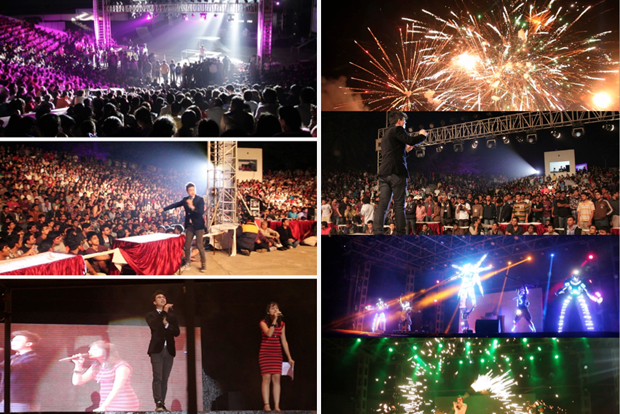 Middle-East debut show at The Sultanate of Oman, Arab. 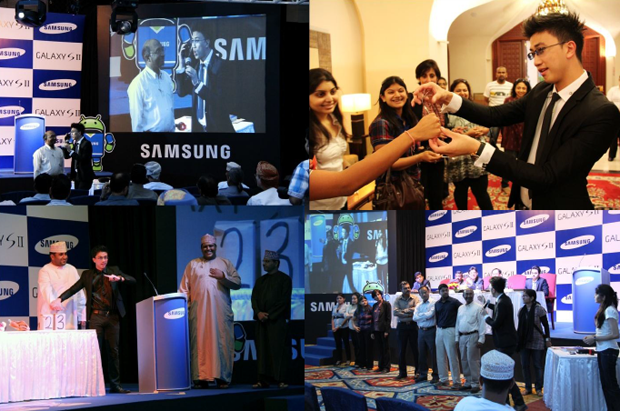 He was flown to Oman to launch the much anticipated Samsung Galaxy S II phone by Samsung. Zlwin is also Samsung Malaysia’s Brand Ambassador and was invited to perform at the press conference and official launch of the phone in Oman. The event was attended by the CEOs and marketing directors of Samsung Korea, Samsung Gulf Electronics and Samsung Dubai. 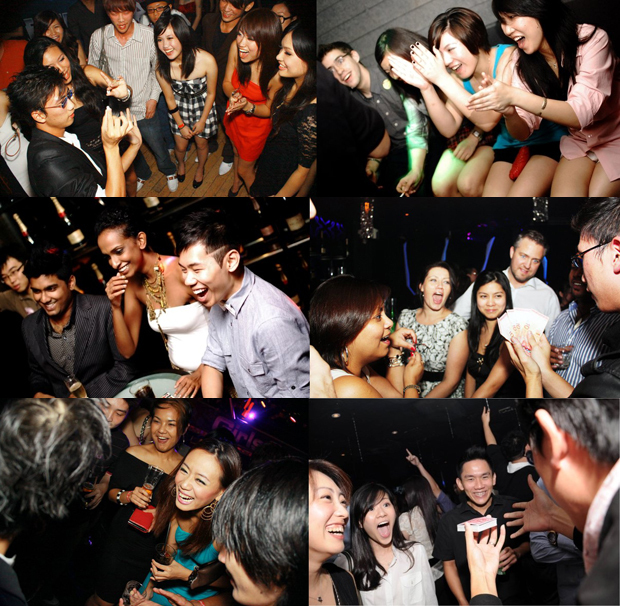 Zlwin was invited to perform at some of Melbourne city's most well known clubs. 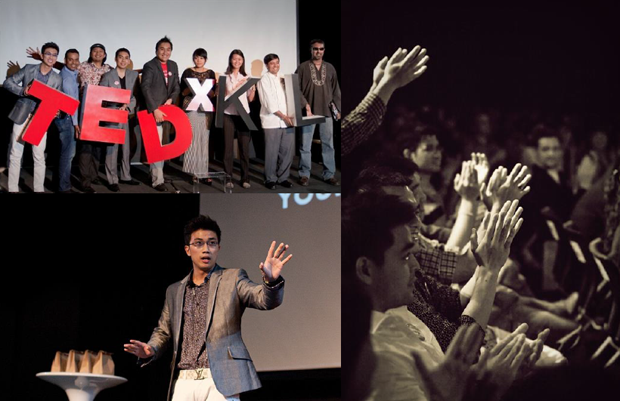 Zlwin has been invited to be a TEDx presenter for three different TEDx events throughout the country. With Hong Kong Superstar Actor, Sean Lau Ching Wan. Zlwin collaborated with the Hong Kong icon to launch his new international movie, "The Great Magician". Resorts World Manila, the Philippines. Guest performer for Christmas and New Year at Cheval Blanc Hotel, Louis Vuitton Moet Hennessy (LVMH). At the workshop with Johnny Thompson, the most sought-after magic consultant in the world today. Johnny Thompson has been consulting for many great magicians such as David Copperfield, Penn & Teller, Criss Angel, David Blaine, Michael Carbonaro, Jarrett & Raja, and many other names. This workshop belongs to Thom Rubino. Thom Rubino is the creator of many original illusions and magic concepts and is one of the best magic builders in Las Vegas. He also works with Cirque du Soleil's prop department. 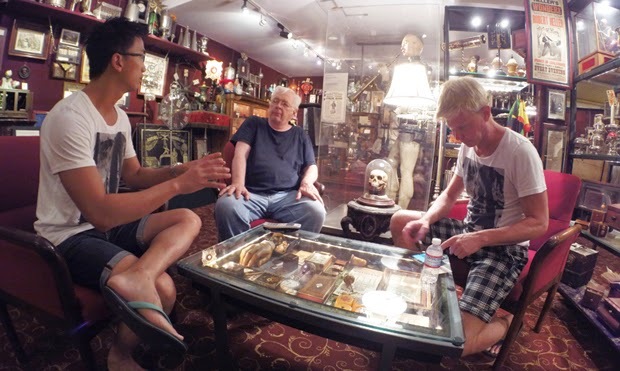 Discussing magic with John Gaughan (middle) at his museum and workshop. John Gaughan is the world's foremost magic builder. He has built most of the world's greatest illusions used by illusionists all around the world today. It is safe to say that most of David Copperfield's illusions came from Gaughan's shop in Hollywood. The list of his clients includes Penn & Teller, David Blaine, Criss Angel, and those of the league. 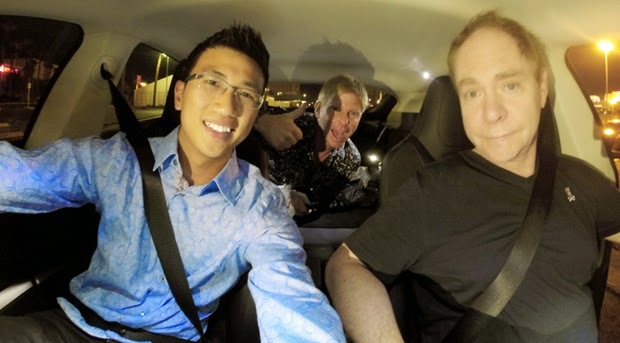 With Teller (one half of the iconic magic duo Penn & Teller), in his car, after the Penn & Teller show at the Rio Hotel & Casino. 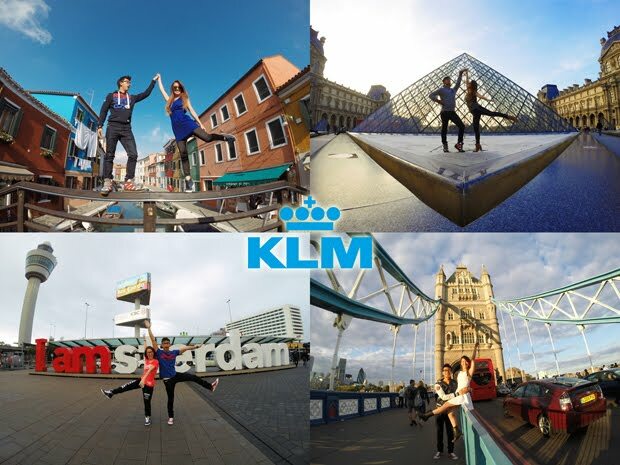 Zlwin collaborated with world renown airlines KLM and AirFrance on a 40 days magic tour in Paris, London, Venice and Amsterdam. 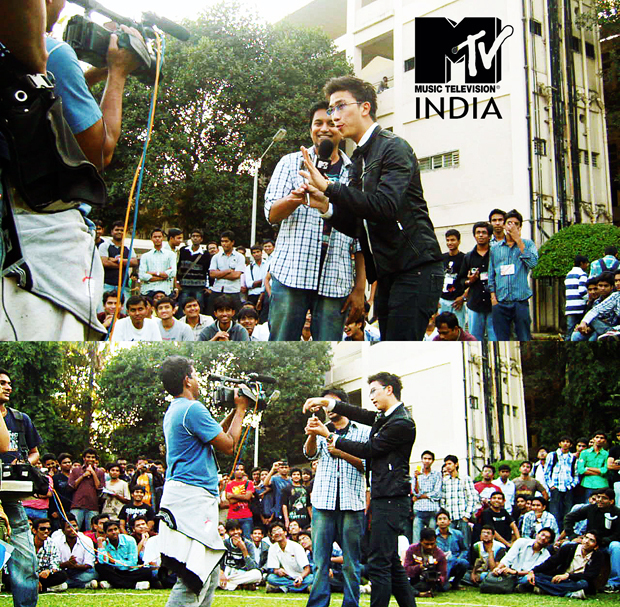 Videos of his tour can be found on his YouTube channel. 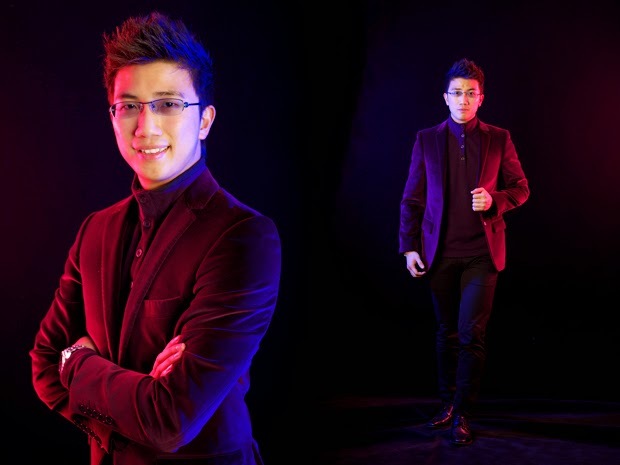 In the year 2015, Zlwin became the first and only Malaysian to ever perform on board the Royal Caribbean Cruise Ship. He performed his Magic and Mentalism Shows on board the Mariner of the Seas, the #17 largest cruise ship in the world. "Zlwin Chew, I watched your video. You are very talented!" 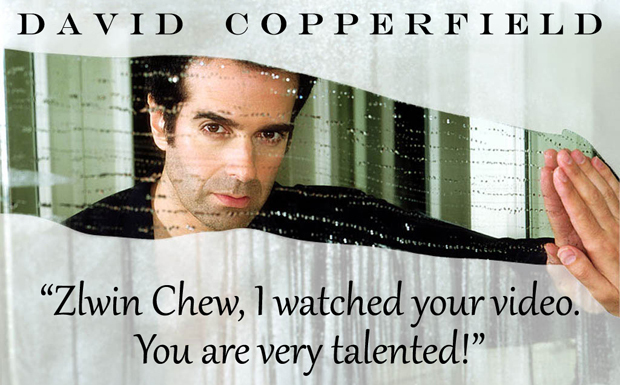 - David Copperfield, World Master of Illusion and Magic Legend, acknowledged Zlwin Chew on his Twitter. Snapshot of Copperfield's Tweet - Click Here. "I need to do a Google search on how you bend those forks and link those mints. You are fantastic!" - Michael Jones, Founder of Google Earth. "The Kind, Sultan of Perlis was very amazed by your magic. The King wants to invite you to his palace!" - Y. Bhg. Tan Sri Dato; Paduka Lee Kim Yew, on the behalf of the Sultan of Perlis, Raja Syed Sirajuddin ibni Syed Putra Jamalullail. - Tun Dr. Mahathir bin Mohamad, Former Prime Minister of Malaysia. 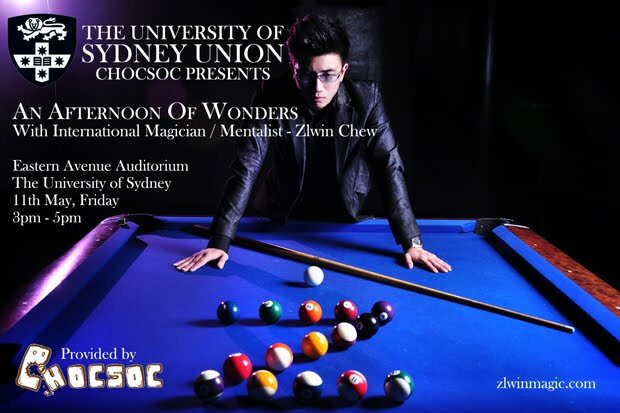 "Zlwin Chew the Mentalist stunned the audience with his mind-reading." Contact Zlwin Chew - Here. Magic is something that seems like it goes against how the world works and it is us magicians who have the privilege to demonstrate it. There are no tricks in magic, only wonderment.